Handmade books, cards and one of kind puppets and dolls. Check back as stock does change! 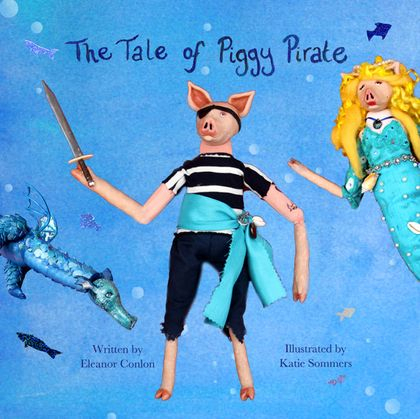 Two of our children's shows, The Tale of Miss Fox and The Tale of Piggy Pirate, are now available in story version as picture books. The tales are written by Eleanor and illustrated by Katie with a combination of the handmade puppets and sets from the shows and watercolour art. Miss Fox and her best friend Miss Cat share a house and a love of food. They are extremely happy together, cooking and eating and furiously knitting. But one day the little yellow bird who lives in the tree above their house warns them that an intruder is coming. 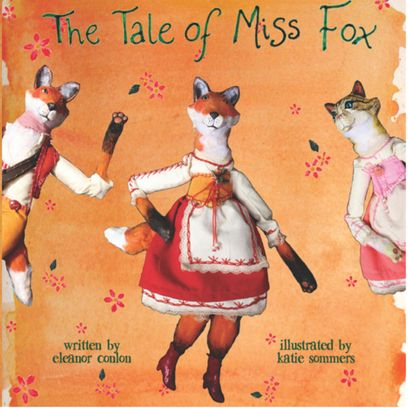 Mr Fox is on his way to woo and marry Miss Fox! A delightful and light-hearted tale of the forest, perfect for bedtime reading! 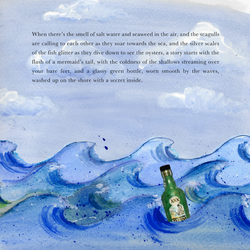 One day a mysterious bottle bumps against the side of Piggy Pirate's ship. Thinking it's a rare vintage rum, he fishes it out and finds a map leading to a fabulous treasure. He sets sail at once.